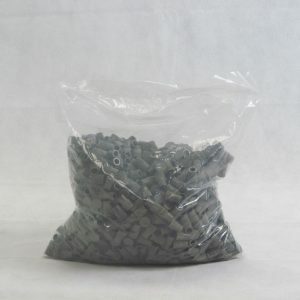 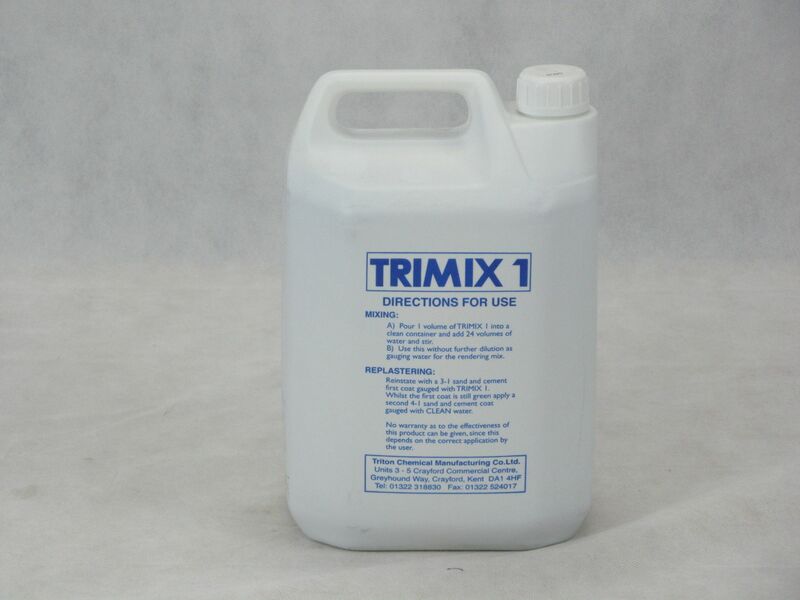 Triton Trimix 1 is a water and salt resistant additive for cement mortars. 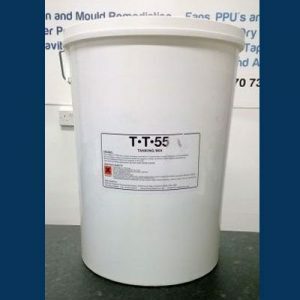 Added to properly formulated mortars, Triton Trimix reduces the amount of water required to provide a workable mix and hence produces a more dense render. 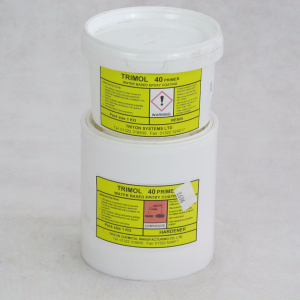 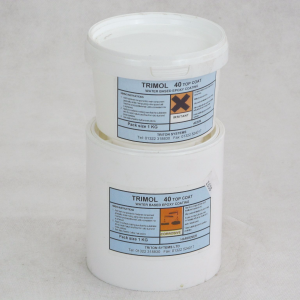 Trimix is suitable for use in mortars and renders both internal and external use, it is particularly recommended for use in internal cement rendering (re plastering) of walls which have received a chemical damp proof course.